Posted on Tuesday, June 21st, 2011 at 8:16 pm. Subscribe to the comments feed. Both comments and pings are currently closed. Post on your own blog. Thanks for the article. 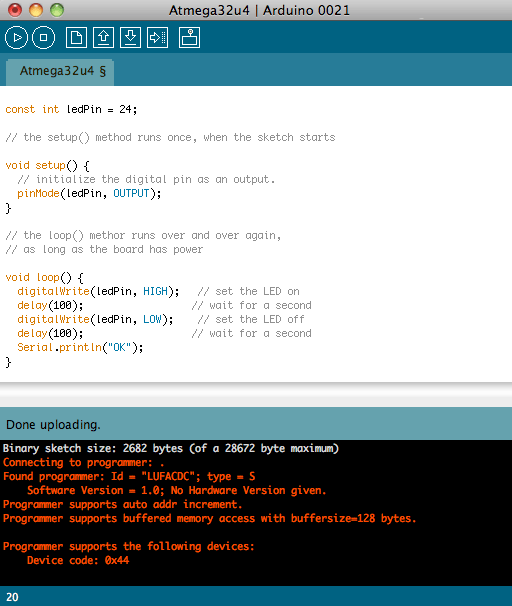 How the heck did you figure out the LED was on pin 24 of the ATMEGA32U4 breakout board?????? Hmmm, I probably pulled example code from somewhere… The Adafruit site perhaps? 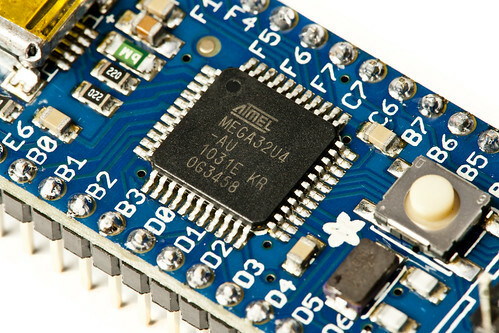 I was wondering if you still have the dmg that adafruit supplied. They no longer support this card on the arduino ide. I’ll dig around… haven’t used that board for a while now. 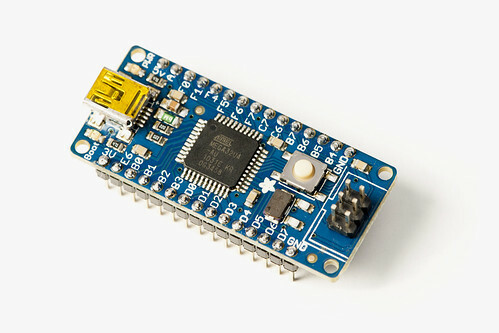 Adafruit states that “timing is everything” on this. I’ve had good luck by making sure the Teensy loader is running, pressing the button to activate the bootloader, making sure that the virtual com port shows up in Arduino IDE ->Tools->Serial port, then Upload through the IDE. Sometimes you have too keep pressing bootloader a few times and if that does not work remove/insert the USB plug until your computer notices the board.